Airtel Digital TV is an Indian direct broadcast satellite service provider owned and operated by Bharti Airtel. Its satellite service, launched on 2008, transmits digital satellite television and audio to households in India. It uses MPEG-4 digital compression with DVB-S2 technology, transmitting using INSAT 4CR 74°E and SES 7 108.2°E. 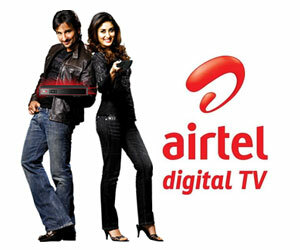 Airtel Digital TV service was launched on 8 October 2008. Amrita TV, is now extensively available in India on Airtel Digital TV channel no. 812 .